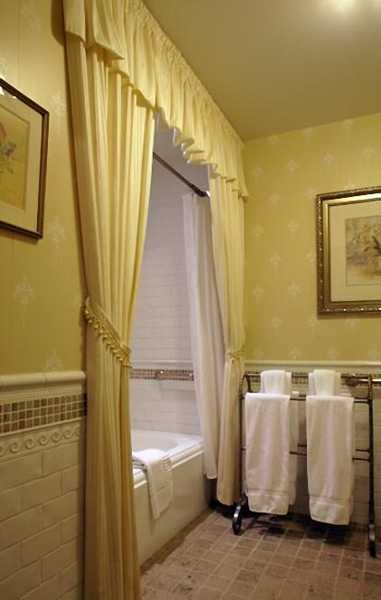 Rich yellow color is one of modern bathroom decorating ideas that bring sunny atmosphere into interior design. 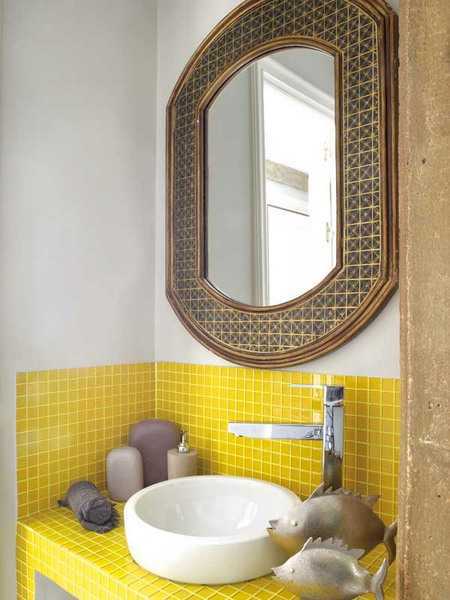 Yellow bathroom tiles, yellow walls, decorated with bathroom tiles, interior paint or bathroom wallpaper, floor tiles and bathroom decor accessories in yellow colors create warm and happy modern bathroom design. Modern bathroom ideas that include yellow paint, bathroom wallpaper or tiles in yellow colors can dramatically change even a small bathroom design, turning it into bright and spacious, cheerful and stylish room, a perfect decoration for your home. Before bathroom remodeling, home staging or developing a new bathroom design, think about the effect you want to create in your bathroom interior. 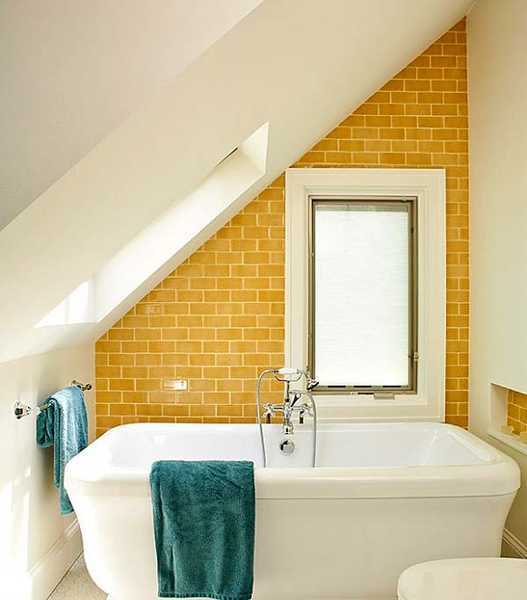 Select yellow paint or bathroom wallpaper with a yellow pattern, or decorate floor and walls with yellow bathroom tiles, if you like cheerful and sunny modern bathroom design. Yellow color influence our lives in many different ways. Yellow color is popular choice for exclusive and rich designs. Of course, different people have different emotional perceptions of the color, but yellow paint or wallpaper, or yellow bathroom tiles create an optimistic glow that has a universal appeal. If you do not like yellow walls, use bathroom decor accessories in yellow colors or add yellow bathroom tiles to your bathroom interior. Small bottles of shampoo or yellow soap add beautiful and warm yellow accents to modern bathroom design, softening it and making feel cozy. Yellow paint, wallpaper and wall tiles can balance your bathroom dimensions, visually making bathroom interior look more spacious and bright. Warm yellow color shades, including golden colors and pale light tones are sunny and happy interior design colors. Warm yellow color is a perfect choice for modern bathroom design, because a person does not spend too much time and can not get tired of this powerful color. Since modern bathroom interiors usually have a small size, light and bright yellow color adds more space visually to small rooms. The accent wall design, created with yellow paint, bathroom wallpaper with yellow pattern or yellow wall tiles look gorgeous with other walls painted white, creating a pleasant illusion of spacious bathroom design. 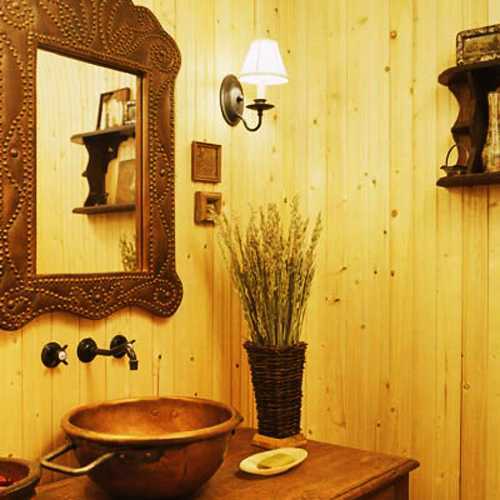 Bathroom remodeling, home staging or new bathroom design is simpler and easier with interior paint. And if you choose yellow paint for your bathroom interior, the dramatic change and brightening effect will be created in no time. Dark yellow colors feel warm and comfortable also, but light yellow colors are especially good for making small bathroom design look energetic, airy and spacious. Towels and floor rugs, lighting fixtures and storage containers in yellow colors are a nice way to add pleasant accents and warmth to your modern bathroom design. Even pictures and shampoo bottles, simple decorations like fish and sea shells in yellow colors, sunflowers printed on canvas or few individual wall tiles with yellow designs bring beautiful and powerful decorative details into your optimistic and happy bathroom design.